Looking to build your core strength or training for a big trek? Look no further, we’ve found you a gym. 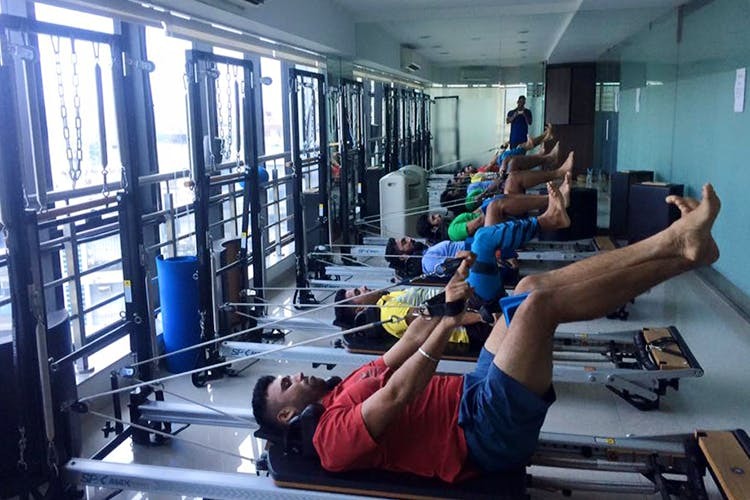 Activ8 Studio is a pilates, altitude and rehab studio located in Juhu that focuses on building stamina and core strength instead of the usual selling point for gyms – weight loss. They have three programs on offer – pilates, which is pretty popular in the city, then they have something called altitude Training, followed by a rehab program. We found altitude training to be interesting. Developed by John Gloster, an Australian sports physiotherapist, it involves exercising in environments with a reduced level of oxygen. These adaptations allow the body to utilize oxygen better and increase the efficiency of the respiratory and cardiovascular systems. It’s found to be great for marathon runners and trekkers. Their rehabilitation program has experienced physiotherapists that will bring you back from an injury, back or neck pain, musculoskeletal injuries or post-operative care. They customise each package according to one’s needs. If you’re looking to get fit in an interesting way while seeking quick results, try Activ8. We say, start by running a marathon this year, after training.